Kathy Saltzman Romey is Director of Choral Activities at the University of Minnesota, where she oversees the graduate program in choral conducting and conducts choirs. She is also Artistic Director of the 200-voice symphonic chorus, The Minnesota Chorale, which serves as principal chorus for the Minnesota Orchestra. Known for her meticulous training of choirs, Romey has prepared the Chorale for performances with both the Minnesota Orchestra and Saint Paul Chamber Orchestra under the baton of such acclaimed conductors as James Conlon, Nicholas McGegan, Bobby McFerrin, Roger Norrington, Helmuth Rilling, Robert Shaw, Leonard Slatkin, Osmo Vänskä, Edo de Waart, and Hugh Wolff. Romey has conducted the Chorale in regional, national and international forums and in performances with both the Minnesota Orchestra and Metropolitan Symphony. She also coordinates and presents the BRIDGES series, the nationally acclaimed education-outreach program of the Minnesota Chorale. Begun in 1994 to build musical and social bridges between diverse populations, BRIDGES is an annual initiative that harnesses the richness of global choral repertoire to engage cultural communities and raise awareness of pressing social needs. A passionate advocate of choral civic engagement, Romey documented the BRIDGES program in a co-authored chapter with two University of Minnesota conducting students for the book Wisdom, Wit and Will: Women Choral Conductors on Their Art, released by GIA Publications in 2009. Romey has served as a staff member to the Oregon Bach Festival since 1984 and is principal chorus master of the 54-voice professional Festival Choir, which she prepares for annual Festival concerts, commissions, and recording projects. American and world premiere performances presented at the Oregon Bach Festival include major choral works by Tan Dun, Arvo Pärt, Krzysztof Penderecki, Sven David Sandström, and Mozart reconstructions by Robert Levin. Romey has assisted with ten recordings, including the Festival’s 2001 Grammy Award–winning CD of Penderecki’s Credo under the direction of Helmuth Rilling and the 2008 Grammy-Nominated CD of Beethoven’s Ninth Symphony conducted by Osmo Vänskä with the Minnesota Orchestra and Chorale. Active as a guest conductor, chorus master, and clinician throughout the United States and Europe, Romey has regularly prepared ensembles with the Internationale Bachakademie Stuttgart for special programs and tours in Germany, France, Poland, Austria, Switzerland and the United States. Currently, she serves on the faculty of the Junges Stuttgarter Bach Ensemble. This international choir and orchestra are assembled annually for the Stuttgart Bach Week, focusing on the study and presentation of major works by Johann Sebastian Bach. In addition to her work with the Bachakademie, Romey has prepared programs with the Westminster Symphonic Choir, Netherlands Radio Choir, Carnegie Hall Festival Chorus, and Grant Park Music Festival. 2012 marked her second appearance with the Berkshire Choral Festival. Romey earned a B.A. in Flute Performance from the University of Oregon in 1979, and an Artistic Degree in Choral Conducting under Helmuth Rilling from the Frankfurt Musikhochschule in 1984. 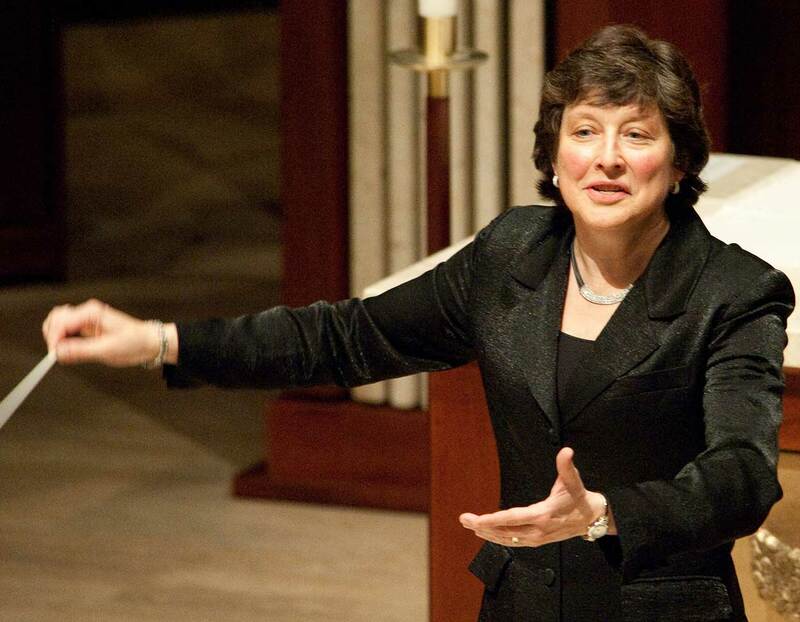 She returned to the United States and served as Director of Choral Activities at Macalester College from 1985-1992. She joined the faculty at the University of Minnesota in 1992 and was recognized in 2006 with the University’s Arthur Motley award for exemplary teaching. She was also honored by the Minnesota Chapter of the American Choral Directors Association with the 2002 Conductor of the Year award. Kathy Saltzman Romey is the guest conductor for the November 2016 concert, "A French Meditation."